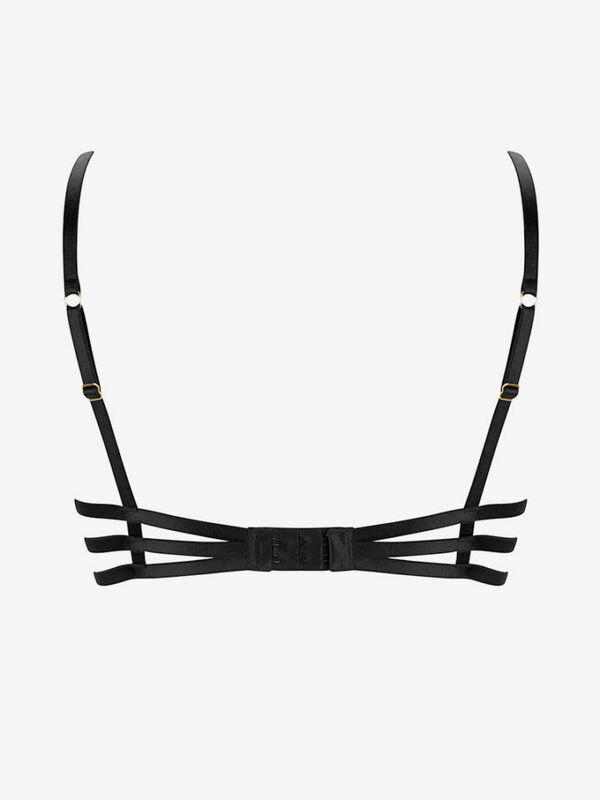 Chic and luxurious, this underwire bra combines all the elements you desire. A tastefully deep raspberry toned silk is seductively trimmed with sheer black mesh and lace, while the sides of the bra feature a fashion-forward trio of straps finished with 24ct gold hardware. Style it up for all-day sartorial impact or tease in the boudoir. 50% Silk. 45% Nylon 5% Elastine. Exclusive of all trims. SKU: N/A. Categories: All Lingerie, Bras. Tags: Pure Rose, Raspberry Diva.